The Hammer Museum at UCLA will host a screening of UCLA professor Renee Tajima-Peña’s 2015 documentary about the forced sterilization of Mexican immigrant mothers in Los Angeles, “No Más Bebés,” in the Billy Wilder Theater on Oct. 24. 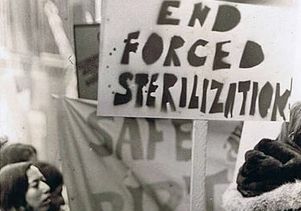 This film tells the story of women who were forcibly or unknowingly sterilized while giving birth at the Los Angeles County-USC Medical Center during the 1960s and 1970s. Represented by a young Chicana lawyer, the mothers stood up to injustice by suing the county, state and U.S. government. The screening is free and open to the public but tickets must be picked up at the box office one hour before the program on a first come, first served basis. The screening starts at 7:30 p.m. and early arrival is recommended. A Q&A with Tajima-Peña, professor of Asian American studies, follows the movie. For more information, visit the Hammer Museum’s event page.